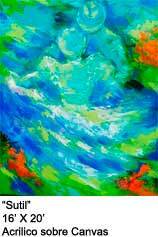 It has been gratifying to be able to support so many deserving artists with the proceeds of my practice. While our fees are quite reasonable for the services we provide, it is still important to give back to those who support you. 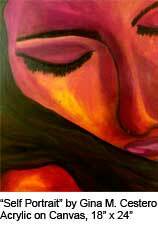 Y Gallery has been especially dear to me, as I consider myself an artist as well as a lover of art. 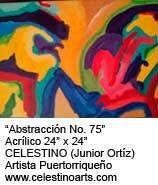 yGallery is a free arts space within Yager Esthetics | Estética™ dedicated to the promotion of Hispanic artists. 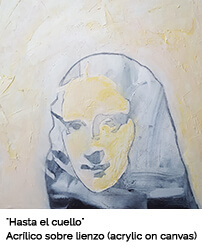 yGallery will host openings and educational seminars in English and Spanish as part of our yConnect networking series. Movement is a reflection of the joy that characterizes Hispanics. 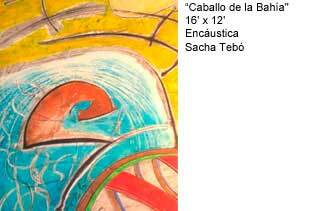 It represents figures combinations emerging from strong bright colors and interlaced lines that move to the beat of the eyes of the beholder. 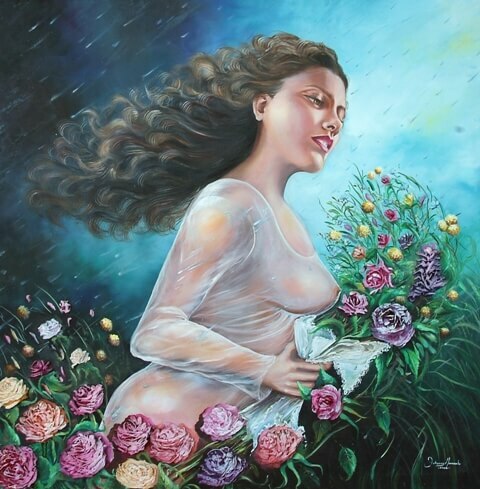 Michele, a native New Yorker of Dominican decent, considers herself a contemporary multi-cultural artist who loves to represent the female essence through acrylic on canvas. 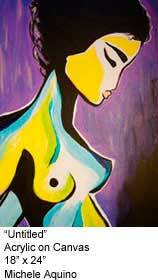 Her passion ventures into the worlds of Impressionistic, Realism, Surrealism and Abstract paintings with Mixed Media. Luanda currently is part of the teaching staff of the Bronx River Art Center and will be sharing with the children her inspiration and work as an artist. 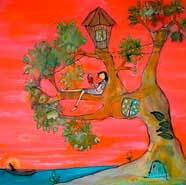 Gina is a contemporary painter who celebrates observations, dreams and luminosity of images flashing from her imagination, as well as the artistic abilities of the elementary school students she teaches in NYC. 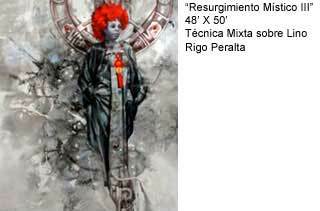 Rigo was born in San Jose de las Matas, Dominican Republic in 1970. In 1989, migrated to New York City. 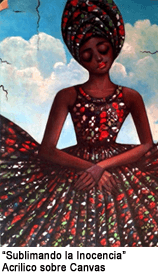 The social and cultural change provoked the multicultural mix that combines his Caribbean past and the urban present. She has a BFA Degree in Illustration from Parsons School of Design in New York and works as a freelance Graphic Designer and her prints are part of several prestigious collections.